ANTIOCH, CA – 2017 marks the 40th anniversary of local public transportation in Eastern Contra Costa County provided by Tri Delta Transit. To celebrate, the agency will be providing free rides on all weekend routes, every weekend in November. Few services have had such an impact on our community as the introduction of Tri Delta Transit. Tri Delta Transit began service in 1977 with only two limited-service bus routes, operated by AC Transit. Since then, service has grown to 18 bus routes including express service to BART and paratransit services for seniors and disabled. Service is provided 365 days a year. Tri Delta Transit recently grew again, adding another weekday route in downtown Pittsburg. New Route 381 began service September 25 and travels between the Pittsburg Marina, through downtown Pittsburg, to Los Medanos College. 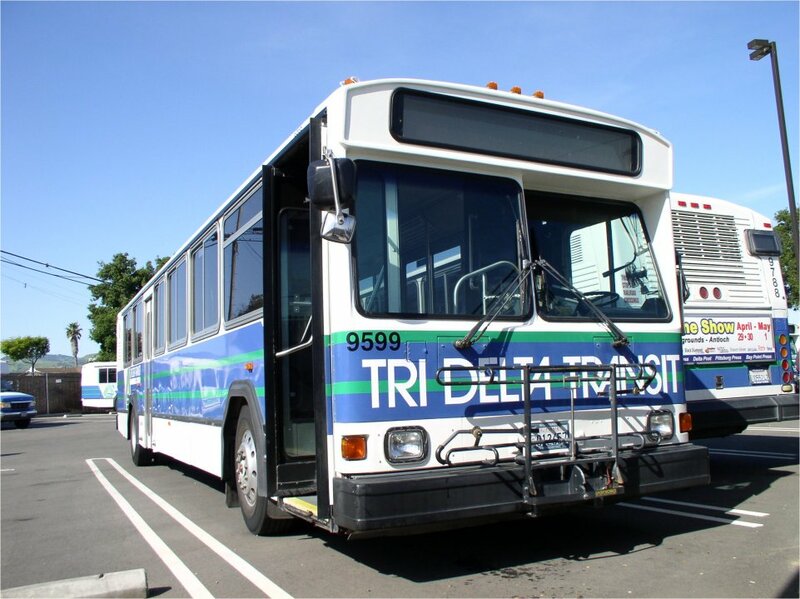 Tri Delta Transit provides over 3,000,000 trips each year to a population of over 250,000 residents in the 225 square miles of Eastern Contra Costa County. They operate 14 local bus routes Monday – Friday, 4 local bus routes on weekends, door-to-door bus service for senior citizens and people with disabilities, and shuttle services to community events. For additional information about Tri Delta Transit, please visit www.trideltatransit.com. This entry was posted on Monday, October 23rd, 2017 at 5:29 pm and is filed under News, Transportation. You can follow any responses to this entry through the RSS 2.0 feed. You can leave a response, or trackback from your own site.